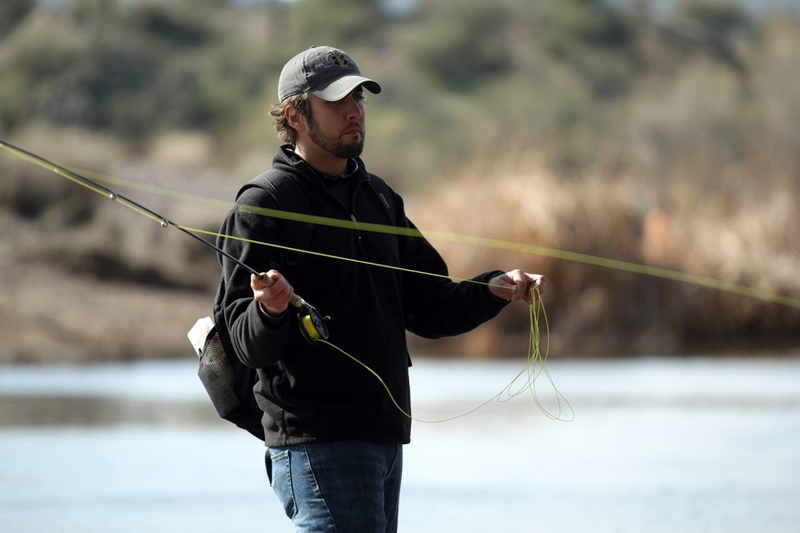 My buddy Pete and I planned earlier in the week that today, Saturday, would be a fine time to stretch our legs and see what is happening in some of the different waters here in Arizona. 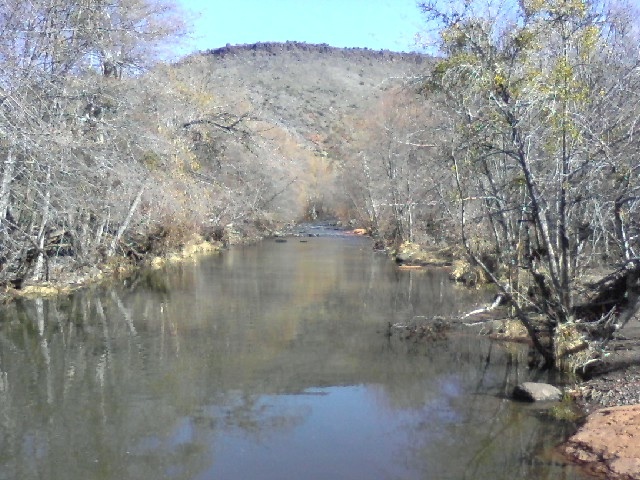 Several suggestions were tossed around and we were finally able to agree on Oak Creek in Sedona. Last weekend left me hopeful for warm weather and sunshine, but the narrow canyon of Oak Creek had different plans. I checked the weather report before I left and rain was forecasted, but as we pulled into our staging area, we were greeted by snow flurries. It was not very long before both Pete and I were soaked and cold from the wintery mix that plagued the day. We threw a delicious feast before the trout in the creek but it was not until Pete chose stonefly nymphs that we saw any sign of life. Pete had several takes but neither of us brought a fish to hand. Overall, I was surprised that the creek was not higher, although with the precipitation that was coming down, who knows how it will be after these next couple days. The day ended with a fine dinner affair at a local BBQ restaurant that left me uncomfortably full and not in any condition for the drive back to the valley. Even with no fish brought to the net, I consider the day a success. I spent the dark drive home planning time to tie stonefly nymphs and take another trip to Oak Creek. 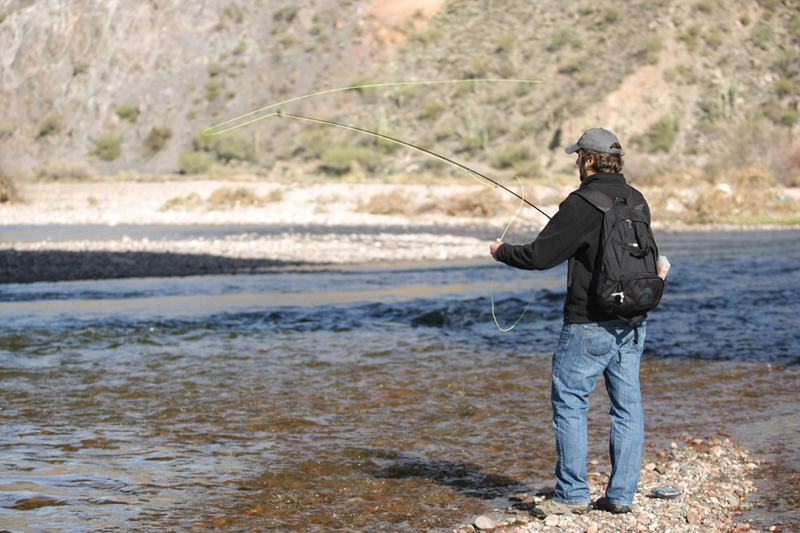 Normally weekends can find me fishing the small streams that Arizona has to offer. Unfortunately, many of those creeks are running full tilt due to rain and runoff. My buddy has been asking me to go to Lake Pleasant with him for some time and so I conceded. 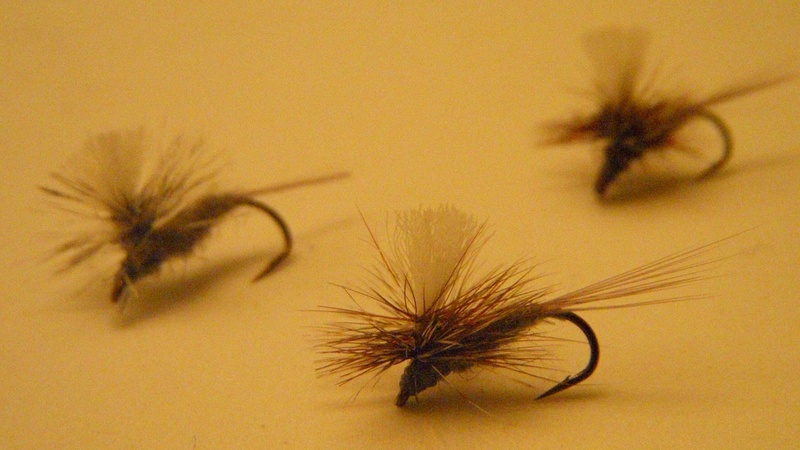 I have been working on tying up several different patterns specifically for the lakes. 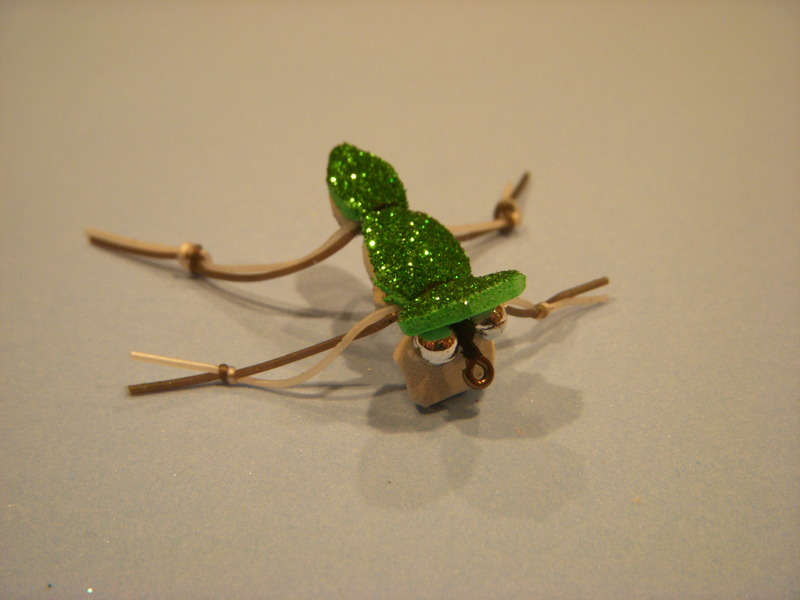 The “frog” is constructed from sparkle foam from a local craft store and when I tried him out at the local pond, his open face created the perfect effect of a swimming frog when stripped across the surface. No day fishing is a waste. Having said that, trying to fish rivers and creeks overflowing with runoff rain and melted snow can be frustrating and slow. Weather reports predicted a beautiful warm sunny Arizona day and their forecast was correct. I had read different reports on this particular creek and had passed it several times on my way to Oak Creek. Knowing full well that everywhere else was going to be equally horrific, I chose to explore here for several hours. 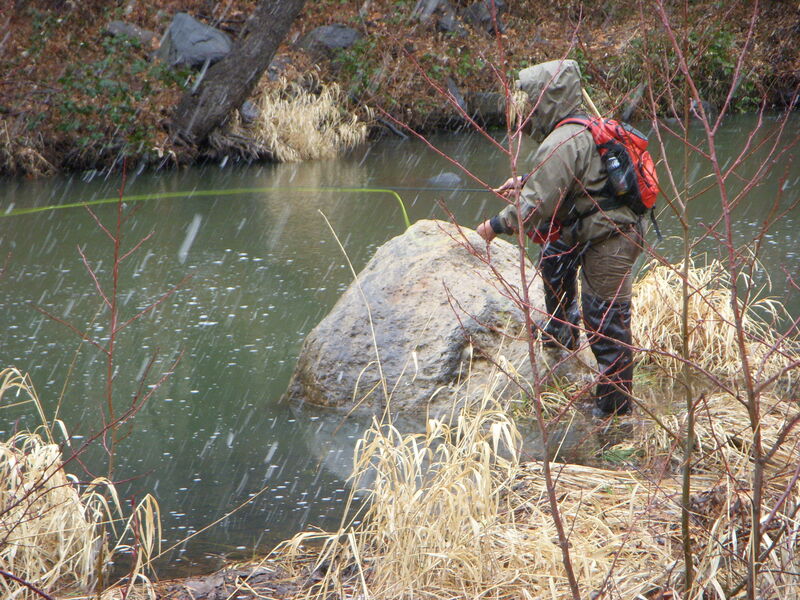 Wet Beaver Creek shows promise as it looks like most other small Arizona Creeks, and in my mind I can imagine big brown trout hunkered down behind each large rock, but today was not one of those memorable days of dragging in fish after fish. The creek was bloated with cloudy water and both banks were packed with sediment, logs, and whatever else the water picked up in the epic downpour. I fished extremely hard but did not even see a fish or feel a bump, but made use of my time practicing my roll casts and unsightly double-haul. In the future, I can see spending the time to hike in further and camp once the weather warms and the water recedes. I would like to think that I learned a valuable lesson today about not fishing saturated creeks, but rest assured I will be whipping the same horse next weekend. On a side note, I wrestled with actually posting this picture taken on my cell phone, and eventually decided to leave it as a reminder to myself that cell phones are for making phone calls and I really need to bite the bullet and buy a real camera. 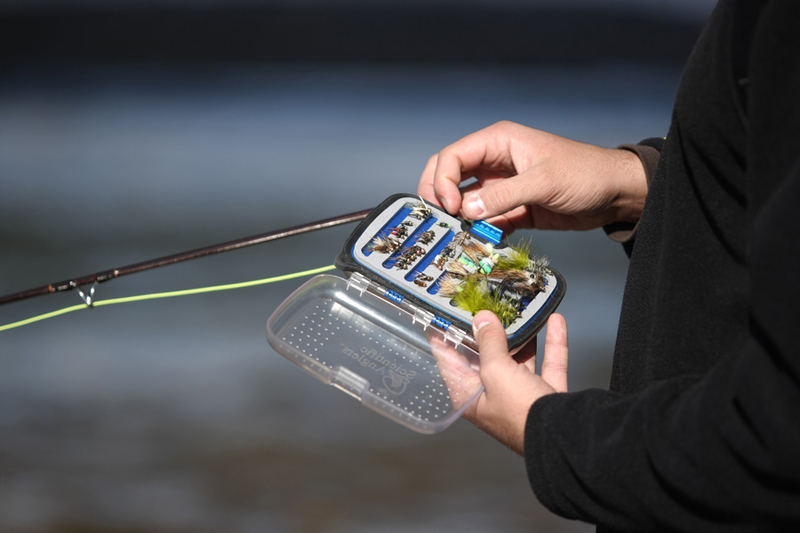 When reading back over my limited experience fly fishing, one can see that a majority of my limited success in catching fish has come from very specific flies. 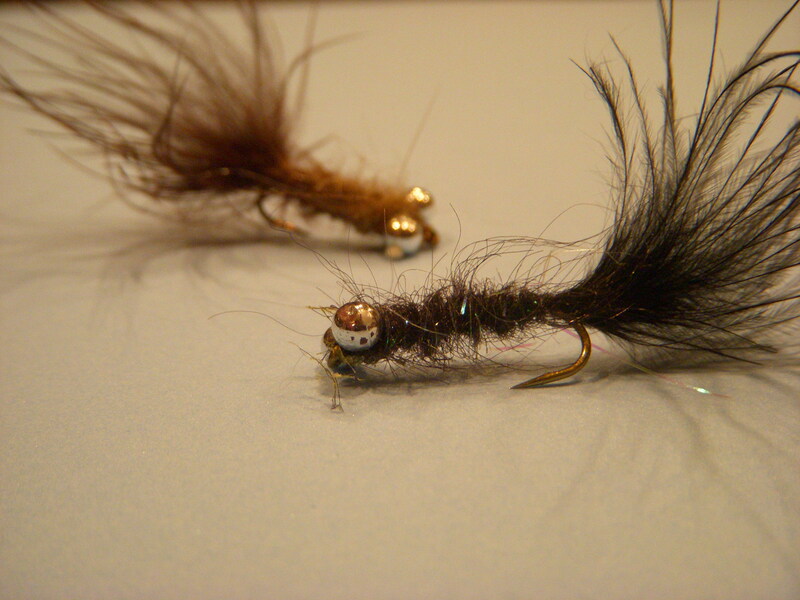 The parachute adams and other variations have produced very well for me largely in part because I can maintain visual contact with my fly and see the strike. 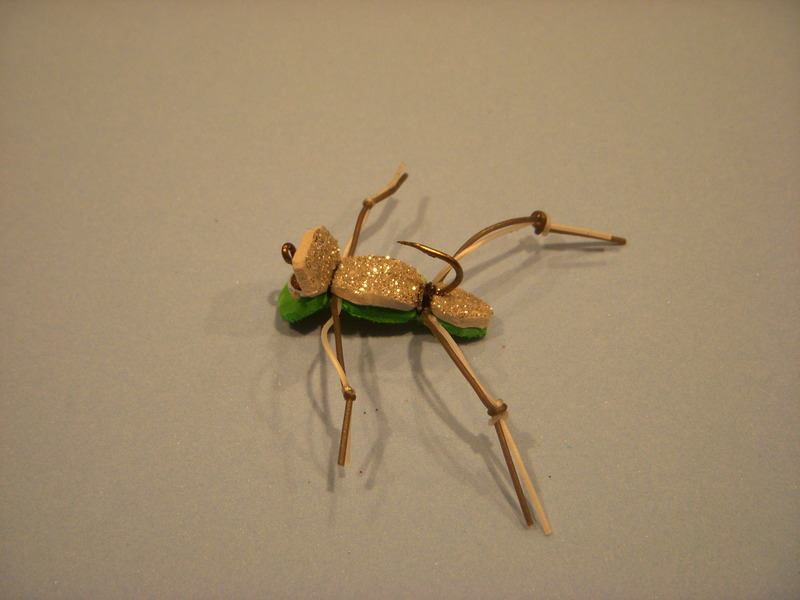 Since buying a vice, my main goal was to become proficient at producing these flies with my own hands. Tonight I found several moments to give it a try and came up with something relatively close. As always, these metal hooks ensnarled in thread and feathers are very far from perfect let alone good, but I could not help but smile when they were done. I must keep practicing.